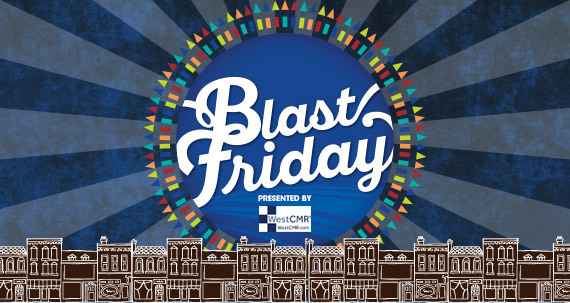 Blast Friday is a free food and craft festival featuring a live concert from local and national touring artists on the Tampa Bay Times Cleveland Street Stage. Food trucks and vendors will be serving a wide variety of freshly prepared specialty food and beer, wine and non-alcoholic beverages that will be available for purchase. Concert goers are welcome to bring their lawn chairs to watch the concert. Beer sampling, live local music and other activities will be located in the 600 block of Cleveland Street. VIP and SUPER VIP Tickets Available! A limited number of SUPER VIP packages for all Blast Friday concerts, priced at $49 are available. SUPER VIP tickets include a seat in the first three rows of reserved general admission seating directly in front of the Tampa Bay Times Stage, a meet and greet opportunity with band members, two complimentary beers or wine and access to super VIP tent, which includes snacks. In addition, a limited number of VIP packages for all Blast Friday concerts, priced at $29 are also available, which includes a general admission ticket in the reserved seating section directly in front of the Tampa Bay Times Stage and two complimentary beers. Blast Friday Clearwater is located in Downtown Clearwater on the 400 block, directly in front of the Capitol Theatre. From Tampa – Head west on the Courtney Campbell Causeway (SR 60) towards Clearwater Beach. Continue on Gulf to Bay Blvd (SR 60), towards Clearwater/Clearwater Beach. Gulf to Bay Blvd turns into Court Street. Turn right onto Ft. Harrison Ave (heading south). Turn left (heading west) onto Cleveland St. The Capitol Theatre will be located on your left hand side, at the corner of Cleveland St and Osceola Ave. Ample, public parking and metered parking is available in Downtown Clearwater. For more information on public parking locations, please refer to the City of Clearwater’s website. Downtown parking meters are not enforced Monday-Friday after 6pm and all day on Saturdays and Sundays.